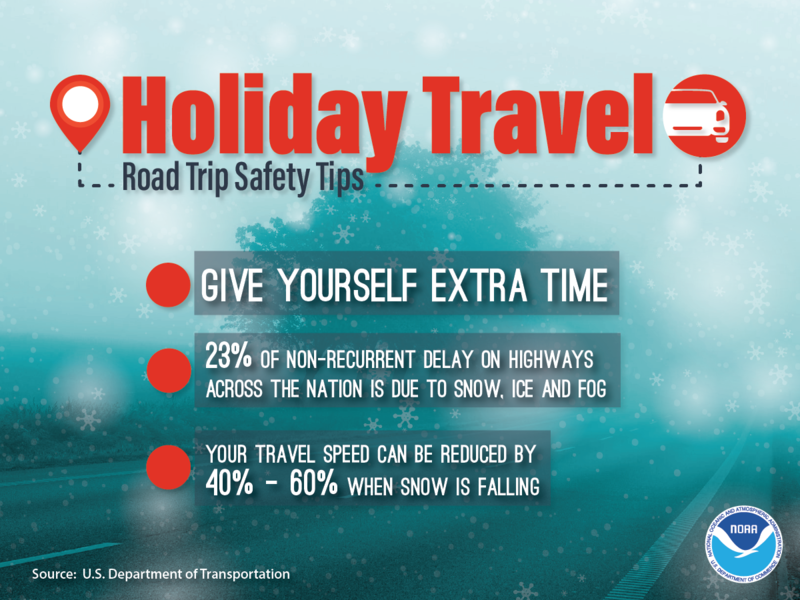 The holidays are here and finding the perfect gift can be a challenge. 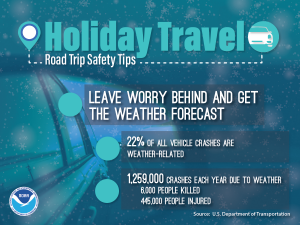 Don't fret, we are here to help with some of the best gift ideas for your favorite traveler. 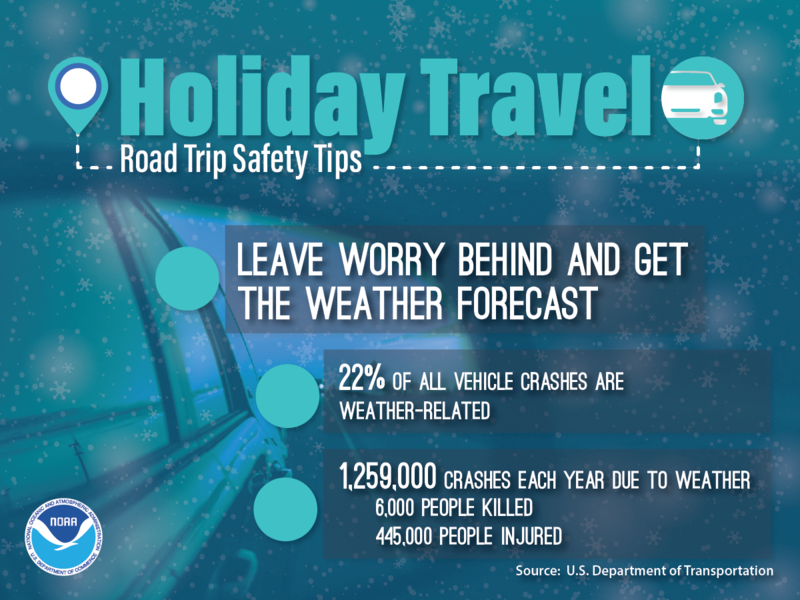 There's sure to be something for everybody on your list, and maybe something special for you too. 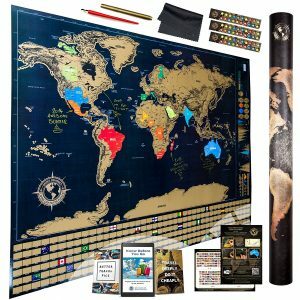 This large, 32 x 24 inch scratch off world map would make an excellent gift for any world traveler. Complete with 252 different countries and regions, including individual states in the US, you can simply scratch off each area as you visit. 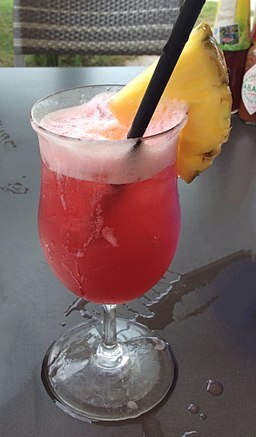 Perfect for anybody with wanderlust. Gotta visit them all! Currently $34.92 at Amazon. 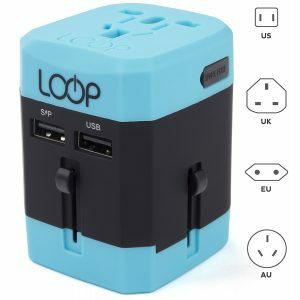 This worldwide travel adapter is a must have for any international travel. This adapter can plug into outlets in over 150 countries and can charge 3 devices at once; two via USB and a third via plug. 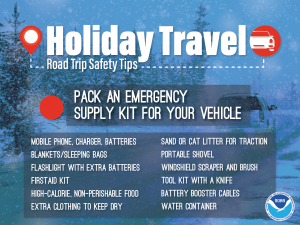 It also comes with a safety fuse to ensure your devices are protected. Currently $18.95 at Amazon. The brand new Kindle Oasis is a 7 inch e-reader available in 8 and 32 GB models. The Kindle line is well loved and proven as one of the best e-readers on the market. With no glare, adaptive light, and the new waterproof certification, the Oasis is perfect no matter where you travel. 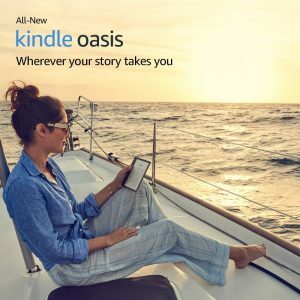 The new Oasis also supports Audible, so you can read or listen to your favorite books all around the world. Currently $249.99 at Amazon. This portable charger is as small as a tube of lipstick but has enough juice to fully charge almost any phone. Nothing is worse than needing to use your phone and seeing the dreaded low battery warning. 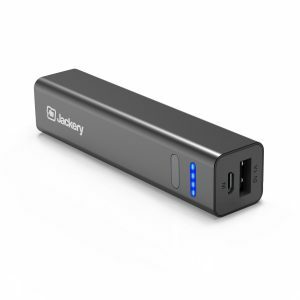 With this tiny portable charger you can always have a full charge wherever you go. Currently $12.99 at Amazon. 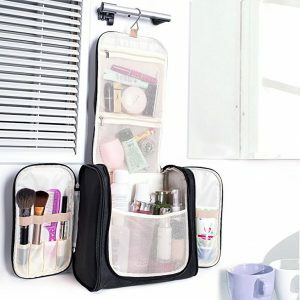 This hanging toiletry bag offers an excellent way to organize and store all the toiletries you may need on your travels. The multiple pockets allows everything to be secured and easy to find, while the hanger can save crucial space in even the most cramped hotel bathrooms. This bag is currently $16.99 at Amazon and is available in 4 different colors. This 4G LTE mobile hotspot lets you stay connected almost anywhere in the world. The Glocal Me G3 works in over 100 countries with no roaming charges and does not require a SIM card. It comes with 1GB of free global data and after that you can purchase subscriptions or pay as you go. 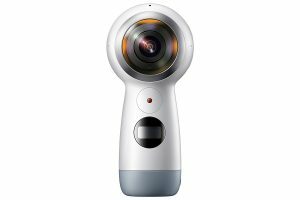 It is currently $154.99 at Amazon. 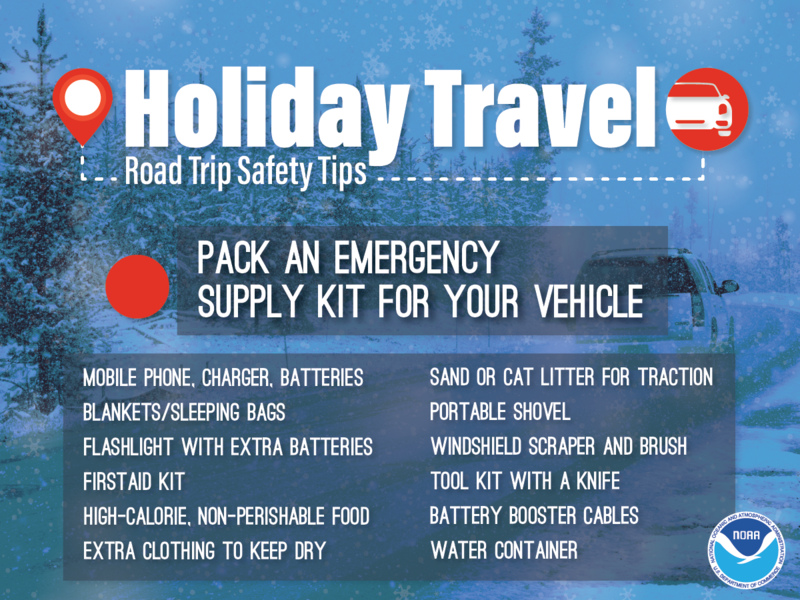 Travelers have a lot of things they need to carry with them. Passports, credit cards, cash, hotel keys, boarding passes, and more. 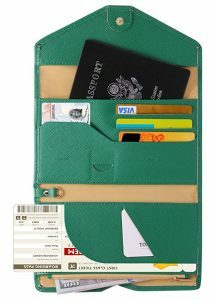 This travel passport wallet provides areas to store all of these documents securely. It also features RFID blocking materials to keep your identity protected. 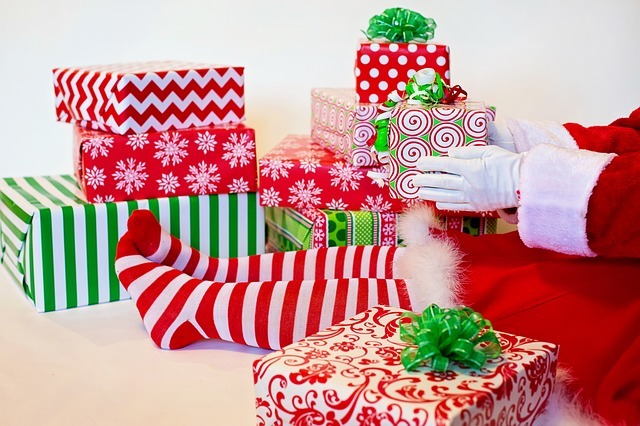 Available in 20 different colors, you are sure to find an option for everybody on your list. Currently $15.99 at Amazon. This handheld portable garment steamer can be easily carried in any suitcase. 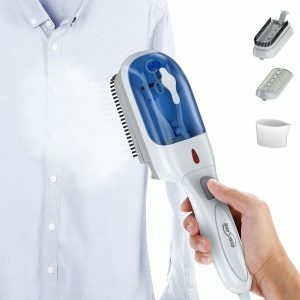 Perfect for business travel or any trips that require formal wear, this steamer can quickly smooth and de-wrinkle all the clothes packed into your suitcase. 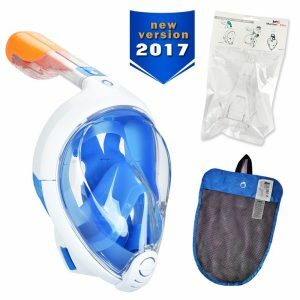 The steamer comes with three different heads and is currently $21.99 at Amazon. This portable power bank with solar has enough power to charge most phones twice. 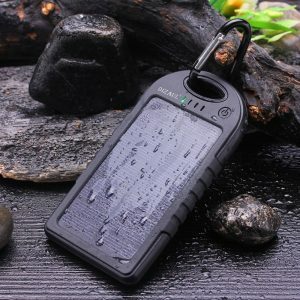 It can be charged normally like any other portable charger, but also comes with a weatherproof solar panel for emergency charging. It can charge two devices at once and comes with a hook to attach it to your backpack. This charger is currently available on Amazon for $23.95. There are lots of options for underwater cameras, but this 16MP Fujifilm is an excellent balance of affordable quality. 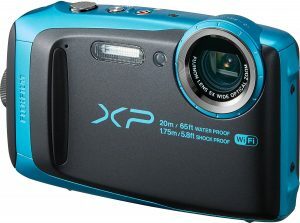 Waterproof up to 65 feet, this camera can join you while snorkeling, diving, parasailing, or just relaxing on the beach. Never miss an amazing picture opportunity again. Currently $149.99 at Amazon. The perfect companion to an underwater camera, this full face snorkel mask allows for clear underwater viewing. 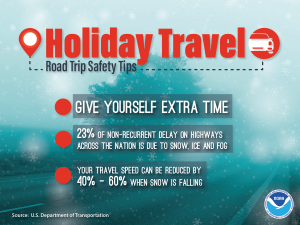 There's no need to worry about losing your grip on the snorkel or goggles fogging up; just put the mask on and breath normally. Complete with a go pro mount, this mask is $69.99 at Amazon. This travel pillow adapts the common "u" design by going all the way around your neck. This extra support is great for people who's head leans forward when they sleep. 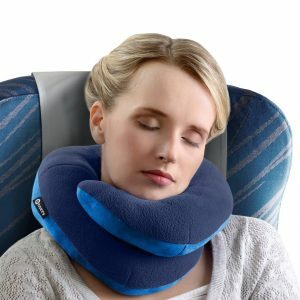 Excellent for getting sleep on planes or in cars, and it is available in both child and adult sizes. Currently $29.97 for one or $54.97 for two at Amazon. 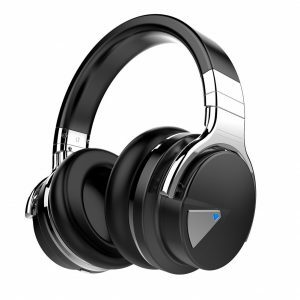 These Cowin E7 noise cancelling bluetooth headphones are both stylish and effective. No more hearing screaming babies on a plane or loud traffic and no wires to get tangled. It's just you, your music, and the significant money you saved over the more expensive Bose models. Currently these headphones are on Amazon for only $69.99. 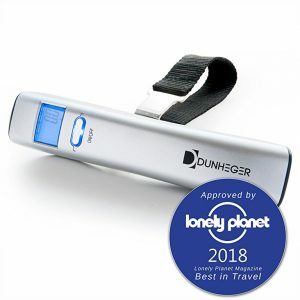 Make sure you don't go over airline weight limits with this handheld digital luggage scale. Since this scale is small enough to bring with you, you can feel free to buy souvenirs and know exactly how much your bags will weigh. 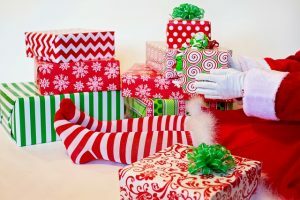 The fees for an overweight bag can be hundreds of dollars, so at $12.99 at Amazon, this gift will pay for itself in no time. This 360 degree camera can take 4K videos and 15MP photos with full 360 degree coverage. 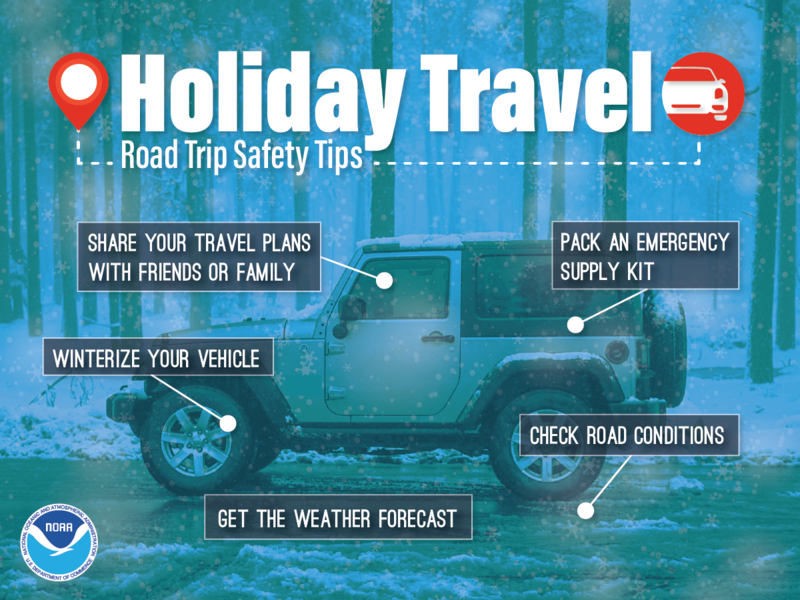 Share your travels like never before by letting friends and family fully explore your destinations using their phones or computer to look all around. Currently only $149.98 for the 2017 version on Amazon.